To mark 10 years since the passing of the late, great Barry Sheene, Silverstone will be hosting a Tribute Parade to one of Britain’s most popular and successful motorcycle racers on the Sunday of the 2013 Hertz British Grand Prix. Taking place between the Moto2 and MotoGP™ races, the Tribute Parade will feature several of Barry’s family, former teammates and rivals, riding a selection of the race bikes that the two-time Grand Prix motorcycle World Champion rode during an illustrious career. 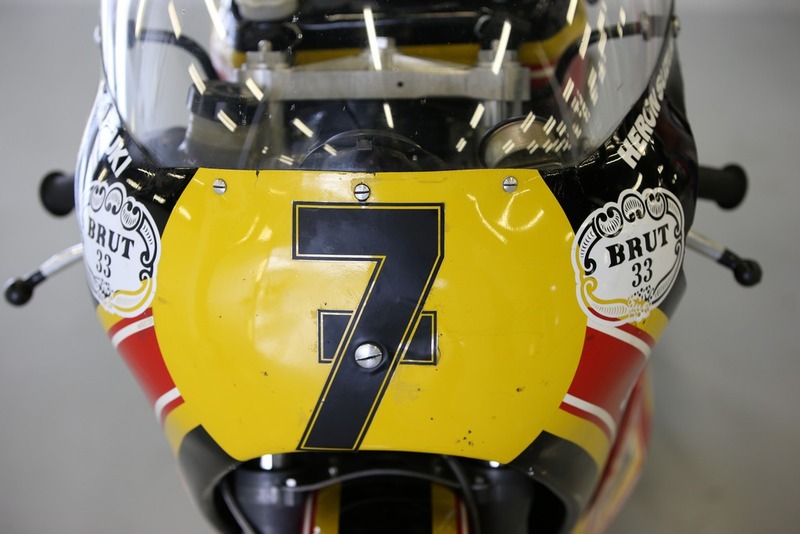 While Sheene never won his home race, his battle with Kenny Roberts around Silverstone at the 1979 British Grand Prix is widely hailed as one of the greatest motorcycle Grands Prix of all time. Barry’s Factory Suzuki XR27, the bike he rode in that famous duel with Roberts, is one of four Sheene classics that will be ridden around the Grand Prix Circuit at Silverstone. 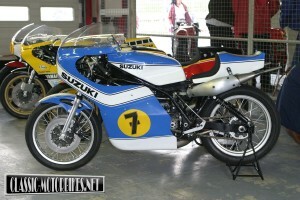 Other bikes include the 1975 Sheene Factory Suzuki XR14 – the first bike that Barry won a 500cc GP on, at Assen; a 1975 Suzuki TR750 – the sister bike, ridden by Barry’s teammate, to the one Sheene crashed at Daytona; and his 1981 Akai Yamaha, which he rode to fourth in the Championship standings. All of the Suzukis are now owned by classic motorcycle collector Steve Wheatman, while the Yamaha is being made available by fellow collector Chris Wilson, who is also providing the 1980 Kenny Roberts Yamaha OW48R, on which he clinched his last World Championship. In keeping with the Tribute, the bike will carry Roberts’ 1979 livery, to commemorate the great battle he had with Sheene at Silverstone. Several of Barry’s family will be riding in the Tribute Parade, including his son Freddie, brother-in-law Paul Smart, himself a former Grand Prix racer, and nephew Scott Smart, who is currently riding in British Supersport. 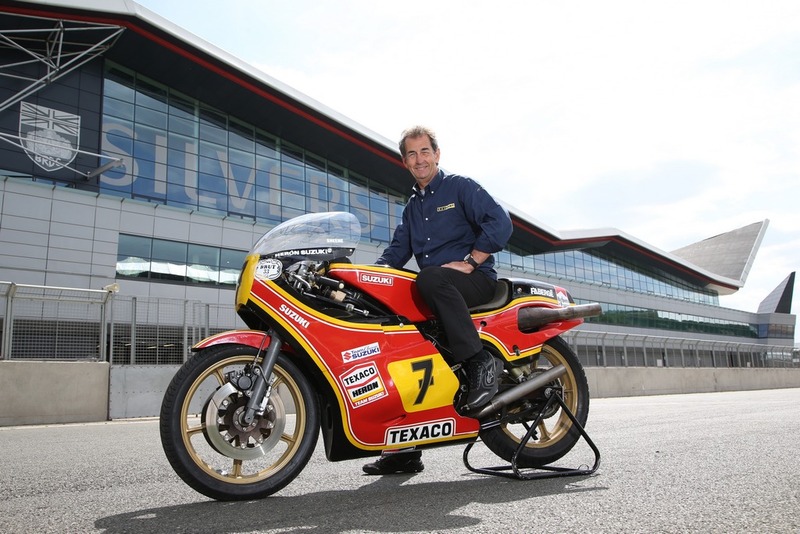 Former teammate Steve Parrish is also confirmed to take part in the parade, as is friend and on-track rival Randy Mamola, who will be riding his original 1980 Factory Suzuki XR34M1. Barry’s daughter, Sidonie Sheene, will also be attending on the day. 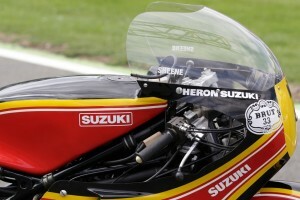 Parrish, who was Sheene’s teammate in ‘77 and ‘79, and one of his closest friends, took the 1979 Suzuki XR27 for a test ride leading up to the event. Speaking ahead of the Tribute Parade, Parrish said: “The tribute to Barry will be a fantastic spectacle and will mean a great deal to the fans coming along to the British Grand Prix. There will be a lot of fans of my generation who remember Barry Sheene, as well as younger fans who, while they wouldn’t have seen Barry race, will have heard a great deal about him. I think it’s a wonderful tribute; obviously he was the last British premier class champion, but it will also mean a great deal to me – I’ll be very proud out there, riding a bike that he last raced here in ’79, in that epic encounter with Kenny Roberts.